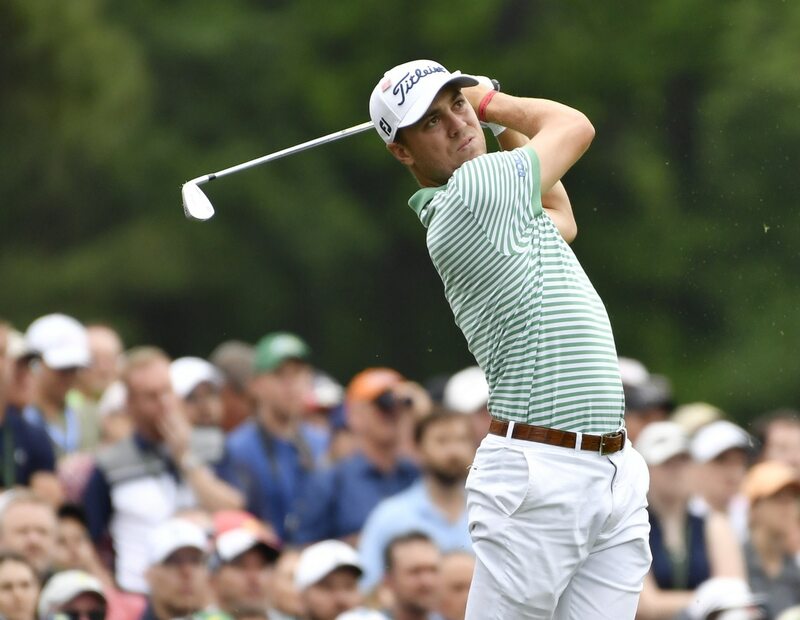 Four shots off the leaders, Justin Thomas stepped up to the tee box at Augusta National’s famed 16th hole on Sunday and got right back in contention. Hitting the 22nd hole-in-one at this hole in Masters history, he judged the green perfectly. This moved Thomas to 9-under par for the tournament, just two shots off the lead. Earlier in the day, Bryson DeChambeau also pulled off this magnificent feat as well. The course has been soft, and the greens receptive, thanks to recent rain at Augusta. Players have taken advantage with pin-point shots into the greens and low scores.